As an admin or office employee, you can choose which view you'd prefer to see on the app in the field. The default is the 'timeline' view, which will show only the jobs assigned to you in a list. 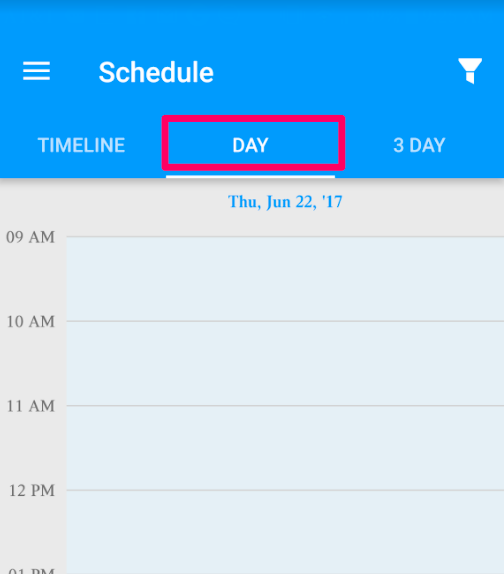 To change to a calendar view, either 'DAY' or '3 DAY.' The calendar will automatically adjust to show the view you've selected.